The Apple MacBook Pro is the most powerful laptop Apple has ever produced, and there might even be a case for describing it as the most advanced laptop in the world. With every single internal component having been reconsidered to maximise performance whilst minimising size, truly formidable power has been packed into a relatively compact shell. With innovation to be found in every inch of its design, you’ll struggle to find a thinner, lighter, and better performing laptop. The Apple MacBook Pro is available with either a 13” or a 15” screen. Choose a model with a stunning Retina display, and you can enjoy astounding levels of clarity. With up to five million pixels and razor sharp definition, anything you view, be it photos, games, or films, is brought to life in the sort of vivid detail that must be seen to be believed. But it’s really what’s inside that counts, and the Apple MacBook Pro is supercharged with dual-core and quad-core Intel processors, advanced graphics, Thunderbolt 3, all-flash storage, and the fastest Wi-Fi. All of this means that even the most complex and demanding of tasks is made infinitely easier with incredible power and speed. The Apple MacBook Pro opens up a whole world of exciting opportunities pretty much out of the box. All of these apps have been designed to function beautifully with the intuitive OS X, which itself is better looking and easier to use than ever before. We offer a complete range, including Apples configured to order models, meaning that there really is a MacBook Pro to suit every lifestyle and every individual. 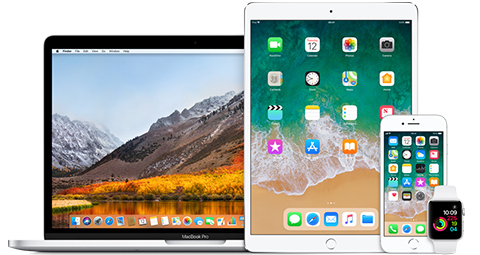 At KRCS, we have been one of the UK’s foremost Apple specialists since 1983, so if you cannot decide which MacBook Pro is right for you, don’t hesitate to get in touch. One of our resident Apple experts will be more than happy to assess your needs and recommend the perfect Pro, just for you.